Trying to cost justify the IT Manager Institute or maybe another training program? 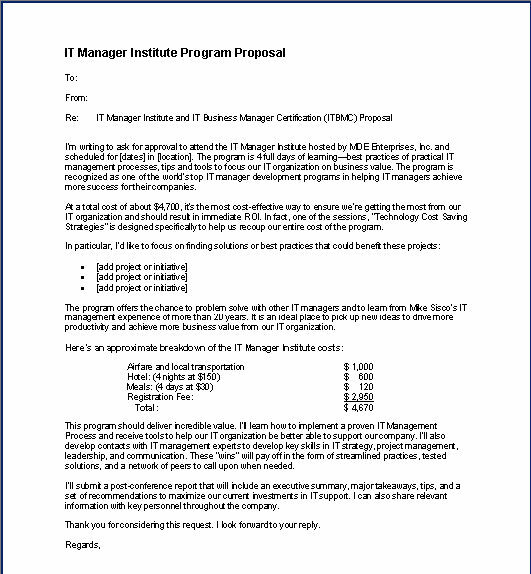 Use the IT Manager Institute proposal as a guide to communicate your request. CLICK HERE to download a Word document you may edit. Managing an IT organization is challenging. I believe it is the most challenging and difficult management job in a company. Primarily because you have to understand the business needs and issues of all departments in the company, , , not just in the IT organization. Not only that, these issues change often if not daily and even if they did not change, , , technology is changing at such a rapid pace that it puts tremendous pressure on an IT organization. To say your IT management role can be stressful and include lots of pressure is an understatement. Even when the client isn’t pressing us, , , our personality types cause us to place pressure on ourselves. IT managers are their “own worst critic”, you know. You need ways to relieve or reduce the pressure. Work needs to be fun, , , we need to enjoy what we do for a living. If you do not, I can tell you life is too short. If you don’t find ways to enjoy work, , , your life may be much shorter than it should be. I’ve seen far too many people stay in jobs that are not fulfilling for them and certainly not something they enjoy. Don’t let this happen to you. I’ve been in a couple of company situations that were awful for me. I’ve also been with companies that were tremendous, , , so I recognize the difference. From personal experience I can tell you about how stressful it is when you find yourself in a situation where it is all you can do to get up and go to a terrible job that you literally hate what you do. I can also tell you how exciting it is to be doing something you truly love to do and that you receive gratification in doing. You work harder and longer, but work does not seem like work, , , because you enjoy it so much. Start today by identifying what makes you happy at work. Better yet, what is the type of work that you enjoy doing. It may be something totally different from what you do today. For me it became a slightly different focus of what I had been doing for over 20 years. When you find something that makes you want to “jump out of bed each morning and get to work” because you love what you do, , , you are onto something very powerful. Find this thing you have real passion for and watch out, , , great things can happen. Learn to have fun at work. Find ways to do things with your employees that helps them have fun as well. 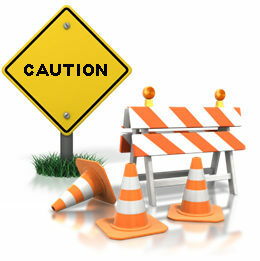 An IT organization deals with negative issues much of the time, , , don’t let this be what defines your organization. You will see, , , when people start having fun at work, can laugh at themselves and others, , , when they enjoy being part of your team, , , tremendous things happen. Create a work environment of “work hard and play hard” and you will see a big difference in what your team can accomplish. It starts with you, , , if you aren’t having fun and enjoying the challenge it is transferring over to your employees. Find ways to enjoy and embrace the challenges so you can help your team do the same. Make it a point and remind yourself to do one thing every day that is simply a fun thing to do at work. Over time, it becomes easier and easier to enjoy your day and ultimately it just becomes a normal thing for you. When you conduct an IT assessment, you identify material business issues that have IT support implications. There might be 150 to 200 issues, , , it’s very common. One of the things you need to do is to prioritize these issues. One of the most important type of issue is one that poses a risk. 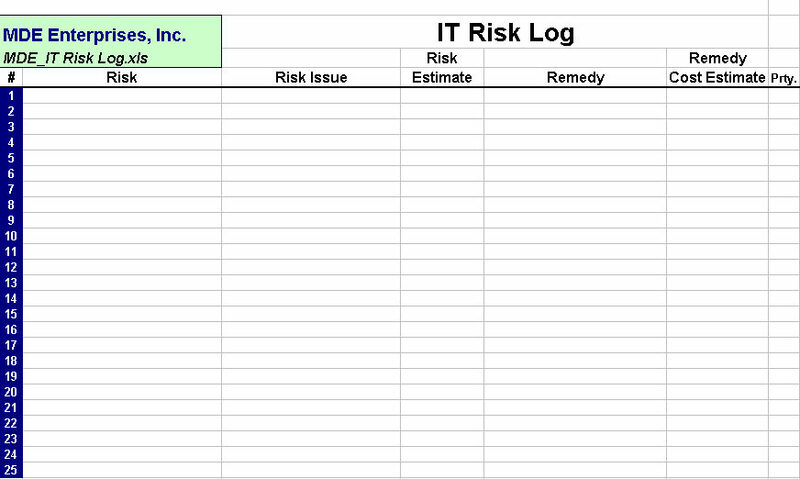 A handy tool to track the risks you identify is an IT Risk Log. In my last post, I identified there are up to three groups of IT employees you will have in a company acquisition. The plans for Groups 1 and 3 are straightforward, , , you terminate Group 1 and you try to lock in Group 3 for the long term. In my next blog post I’ll talk about terminating employees and how to do it professionally so that you minimize risk for the employee and for your company. In this post, let’s talk about Group 2 – employees you need to help you through the transition efforts of the acquisition but won’t be needed afterward. Once the transition is completed, you plan to terminate this group of employees. What would you do if you were one of these employees, , , what would I do.? Most likely, we would try to find a new company to work for as soon as possible once we know this is going to happen. Makes perfect sense. The problem this gives you is that you need this group of employees to support the technologies of the company you have just acquired or maybe help with some of the transition projects your IT team must complete. When the technologies are migrated and transition is completed, , , you do not need these transition type employees. You need a transition plan for this group of employees and it has to include incentive for them to help you knowing they will ultimately lose their job. You might be thinking we could move forward without telling the employees what is going to happen once the transition is completed. Yes, you could try this but the penalties can be severe. A. IT people are smart and they ultimately find out, , , when they do, they will leave before you are prepared for them to leave. B. I would call this maneuver a bit shady and underhanded, , , handling people or clients this way gets around and damages your company reputation more than you might realize. 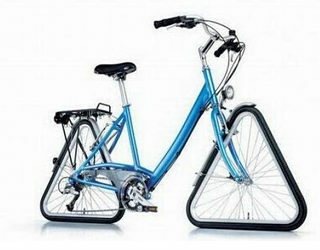 Taking advantage of others and doing things “one-sided” may help you in the short term but damages you in the long run. In your next acquisition you may find IT employees “running for the hills” as soon as they hear your company name mentioned. I’ve been involved in over 40 company acquisitions and have faced this challenge many times, , , and one thing I know is that this circumstance is a very delicate issue. Handle it wrong and you lose people prematurely and put your company at risk. Put a written plan together that outlines exactly what will happen and when it will happen. 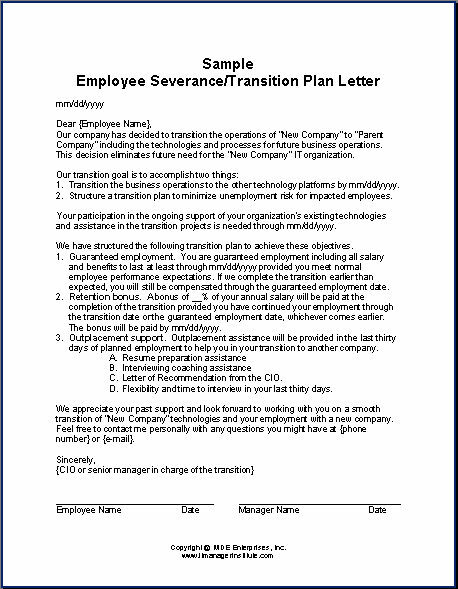 Hold a meeting and give each employee his or her transition plan agreement. Present the outline to the group and explain what you are trying to do to transition the company with their help and to reduce risk for both the company and each of them by obtaining their help. After the meeting, meet with each employee individually to reinforce what was said in the general meeting, to answer questions, and to reinforce the need for them to participate in the transition. Click here to download a sample Transition Letter I’ve used many times. – There has to be real incentive in the plan to get their help and it has to be tangible, , , otherwise they will tell you they are “on board” until a week later when they come into your office and give you a resignation letter. To get their help, there has to be upside for the employee. – I usually built in a 25% of annual salary bonus for transitions taking 3 months or longer. Remember, you are asking people to put their careers on hold, , , they won’t do it if there is no upside, , , and it must be tangible enough to get their attention. 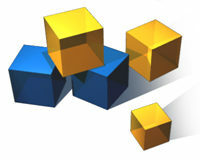 Put yourself in their shoes, , , they need certainty and incentive to help you through this phase. Otherwise they will start looking for another employer. – The plan needs to have a guarantee of employment through the transition period, , , subject to normal employee performance and conduct. You have to make the employee feel secure in a situation that is very concerning for him. 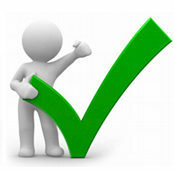 – Include outplacement support to help in resume preparation, interview coaching, and maybe even job search help. – Provide a Letter from the CIO explaining the reason the employee is leaving the company is because of the acquisition, , , he is just in the wrong place at the time. – Be sure you communicate on a regular basis with transition employees. They analyze their situation daily and when they don’t hear from you they get nervous and stressed. Good luck, , , much more detail is included in my book, Acquisition: IT Assimilation. This and all my books and tools can be found at www.mde.net. If you work on a company acquisition and have the opportunity to help transition the new company into the parent (acquiring) company, , , congratulations. You are on the right side of the deal. Completing the deal is the easy part. 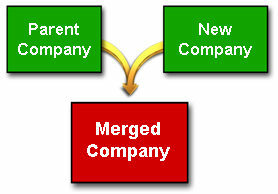 All the heavy lifting comes after the companies agree to merge, , , now it is time to begin the transition. Even if your company decides to let the new company operate pretty much “as is”, there will still be transition objectives. At a minimum your company will want one Payroll, Human Resources, Accounting, Accounts Payable and Purchasing functions most likely, , , and probably one e-mail system. But let’s assume the objective is to eliminate the new company as we see it today and merge everything into the parent company’s operations. This includes all technology platforms and the IT organization. This group includes people who are no longer needed either for temporary support, transition project work, or for the long term. You will determine a way to let them go sooner than later. This is the difficult group. You need these people for only a temporary period of time, , , either to provide ongoing support for the old systems you plan to replace or to help in transition projects. 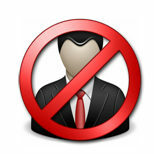 Once the technologies are converted to the parent company’s platform you will terminate them. You want these people to be part of your company. They are the thoroughbreds who are capable of doing great things, , , you want them to stay with you. In my next post I will discuss how you develop an incentive plan for the Group-2 Transition employees so they stick around to help you even knowing they will lose their jobs when the transition is completed. I ran across a quote today that struck home. Most people have some kind of challenge in their life, , , it might be something professional or possibly a personal issue that’s become a challenge. We all carry some kind of weight. I probably need to take this advice more than most, , , but we won’t talk about my issues. Let’s just say, I recognize the need to be a nicer person. Being kind to others is a way of showing respect and consideration. Granted, at work there will be altercations from time to time, , , but when it’s over it is important to respect the other person. After all, you never really know what kind of battles they may be fighting. It doesn’t hurt you to be kind and ultimately you make several decisions every day to be kind or not. I’ll try if you will, , , I believe we will get positive results from our efforts. Most of us in IT are high achievers, independent, self starters, , , not all, but most. With our type of personality we tend to be competitive and want to win, , , it is a good thing. We also like to do well in life and career so we work hard. It’s important for us to be recognized, , , we like being a hero, , , also good. But here is something for you to consider. You need to make others the hero. That’s right, give credit for successes to your IT staff, , , they actually did the work you know, , , even if you had to push hard to make it happen. 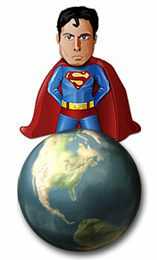 Another idea is to give your boss or maybe the CFO information that helps him be a hero. This one is hard to do, , , I can tell you from experience, , , but when you do things that helps the CFO become a hero in the CEO’s eyes, , , you develop a very important ally in your company. One day, you are going to need CFO support. Let me give you an example. In a company I joined as a new CIO I discovered we were spending entirely too much for postage in our company, , , almost twice what we should have been spending for our industry. As a young manager, I would have taken the information straight to my boss at the time, the CEO. Yes, I would have become a hero in his eyes and it would have been gratifying to receive positive accolades for my good work, , , but guess who I would have alienated by doing this. Correct, , , the CFO either gets upset with me or starts believing he can’t trust me, , , maybe both. Instead of taking the information to my boss, I give it to the CFO with a recommendation on how we can reduce our postage expense by several thousand dollars a month and without spending a dime. Now, this is really hard to do, , , the CFO should have been all over this number and seeing we were spending too much for postage. He wasn’t doing his job! Still, you need to develop partners in key positions of your company and the CFO is definitely a partner you must have as a CIO, , , so take a deep breath and do what you need to do to help him succeed and later on maybe he will do the same for you. 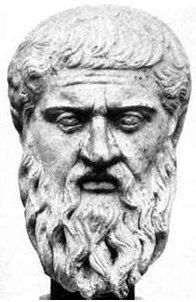 Making others the hero follows my thoughts about being a “giver” versus a “taker”. Early in my career I was definitely a “taker” because I wanted so desperately to be successful, but fortunately with age and experience I learned the real value in giving and how much success it leads to.